For nananananananananananana? What was that an answer to??? And that my friends... Is how you get 100 in your exams. Any will do! Look at the eye in the lower right corner. Amazing artwork. This teachor did on purpose. He/she didnt completely join every dot. 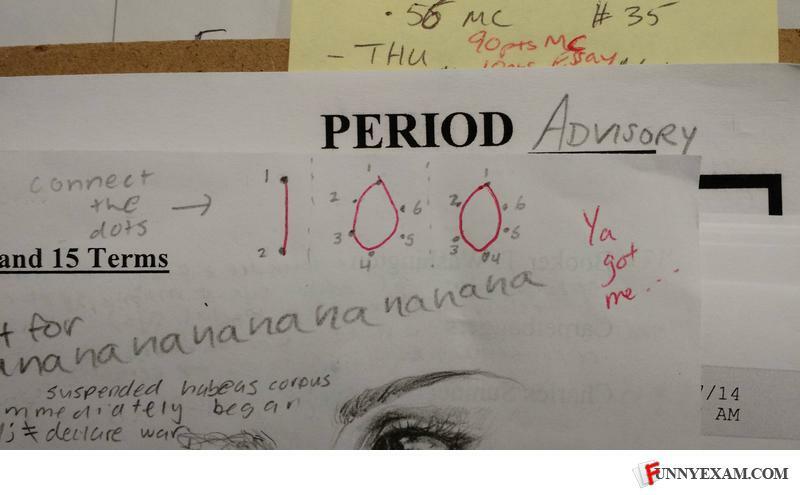 Maybe the teachor wasnt popular so tried to crack a joke... Deductions... . . . This test is about the civil war. You could tell. But lol, very clever.